The 72m Axioma is renowned for its popularity on the charter market and its carefully considered guest area layout that is well suited to charters, including standout interior features such as a spectacular double-height atrium with open mezzanine in the main saloon and an enticing infinity pool and beach club area. 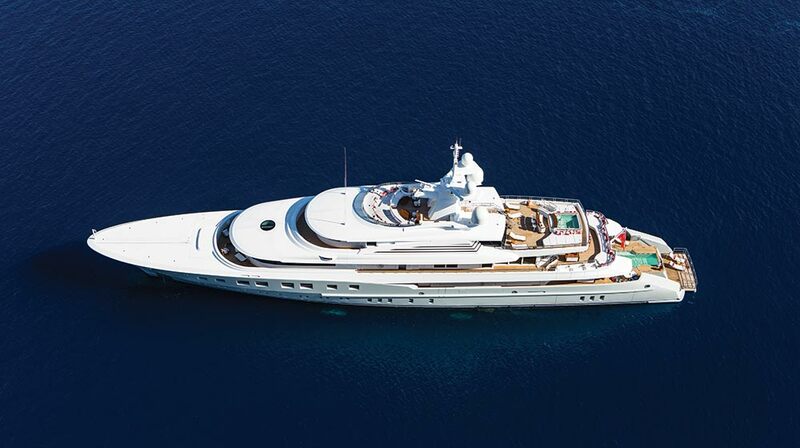 The yacht is also well-known for its crew, who offer a charter experience that keeps clients coming back every year. This can be attributed to good team work on board, an effective rotational programme for the senior crew, and Captain Mark Giblin and Captain Tom Filby at the helm. The captains, first officers, chief engineers and ETOs all have rotation on board Axioma, with the thought process being, like many busy superyachts, that senior crew working three months solid followed by three months off are going to be much more efficient and refreshed than those on board for a full season of back-to-back trips. In terms of the practicalities of making rotation work for its senior crew, Axioma has a few key processes in place. Firstly, the captains will work together to have the following six months carefully mapped out – with natural junctures in charter trips, deliveries or maintenance periods dictating the changeover dates roughly every three months. They will also try and stagger the changeovers so that, for example, if the chief officer is going off on rotation, it will be three weeks after the captain, to ensure that there is enough overlap, which keeps the boat running smoothly. Credit: First published on superyachtnews.com. Many thanks to them and to the author, Bryony McCabe, for their permission to republish.